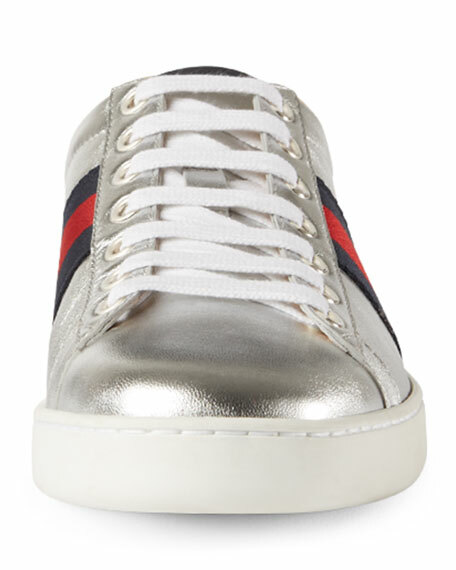 Gucci metallic leather low-top sneaker. 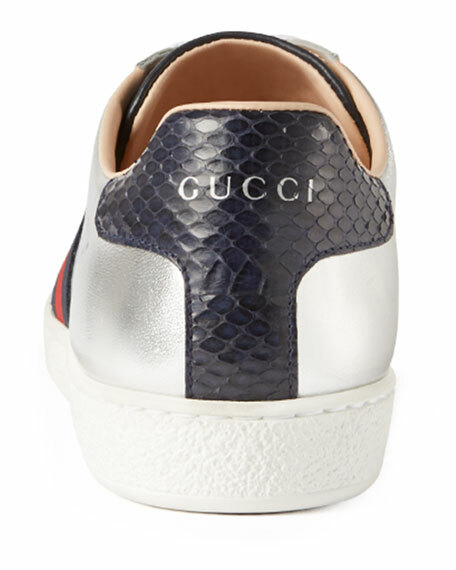 "New Ace" is made in Italy. 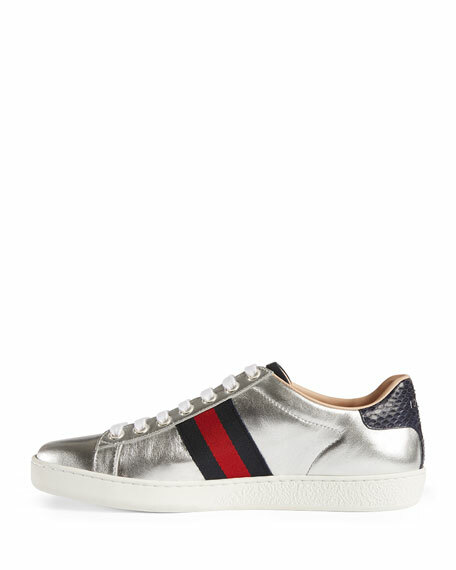 For in-store inquiries, use sku #1808835.